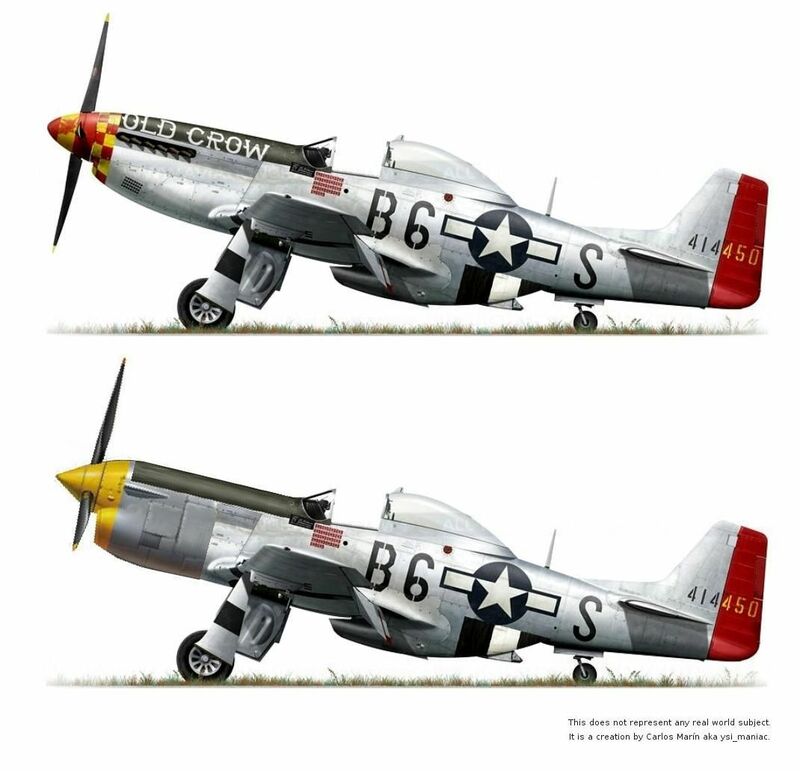 When World War II ended, the venerable wartime North American Aviation P-51 Mustang spawned the twin-fuselage F-82 Twin Mustang. 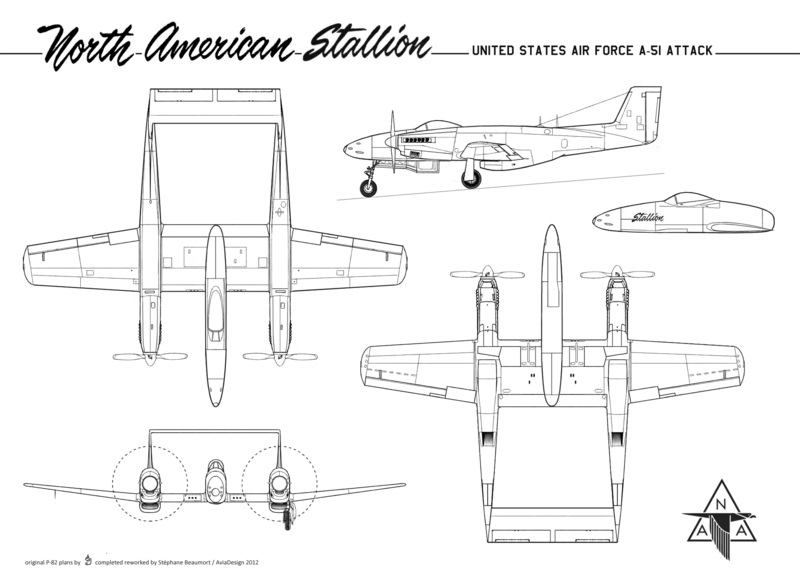 But history almost forgot the way the F-82 was in turn reworked in the form of a twin-boom, high tail attack plane, the A-51 Stallion, sort of a cross between a P-38 Lightning and NAA's later Bronco. Like the string of other attack prototypes that appeared at the same (see the rest of this gallery) the A-51 program was dropped when the attack mission was abandoned by the newly formed U.S. Air Force, and only three YA-51 aircraft were built. I think the main landing gear needs to be more towards the rear. Second that. The tail booms look oversized, even if the main landing gear was moved (much) further back. That's because they're pretty standard P-82 fuselages, minus the tailwheels and cockpits. Tigercat nose for the cockpit pod? Someone somewhere suggested a P-80, which may be the route I go down as Airfix ones seem to pop up fairly regularly down here. 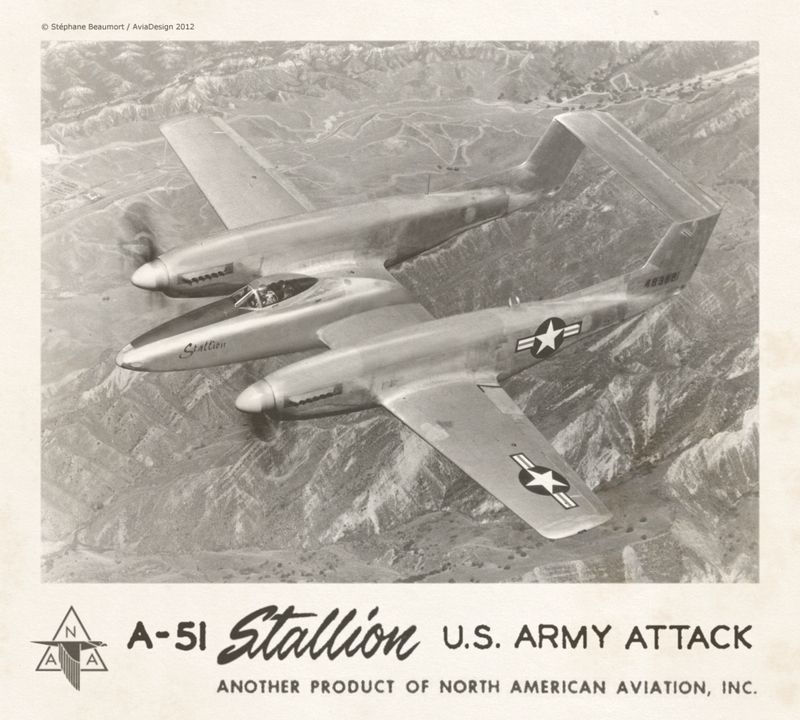 Reengining Mustang with turbocharged Allison, taken from P-38J. The P-80 nose was actually a P-38 nose. Lockheed used the same jigs and tooling to save development time. In case that's useful for sourcing parts, it looks like the P-38 nacelle isn't as long in the back however. Yeah, OK Carlos, but where is the turbosupercharger? assembly of the P-38J nacelle. Why not? Can you explain your proposal. turbosuperchargers and installations and you'll see the issues involved.